Whether we are traveling by foot, by bike, by train or by road, we need to pay attention to safety. 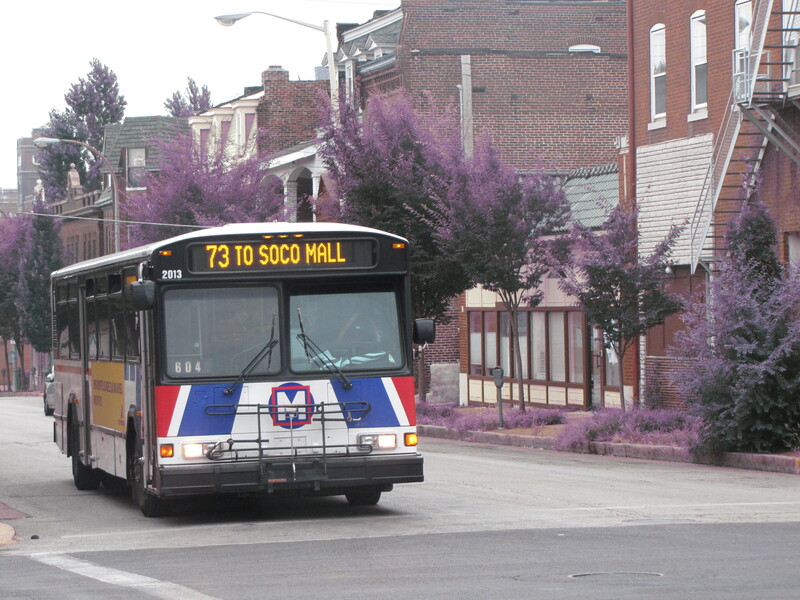 In cities like St. Louis where multimodal travel is common, it’s important for all of us to know and practice safety on roads and near train tracks. 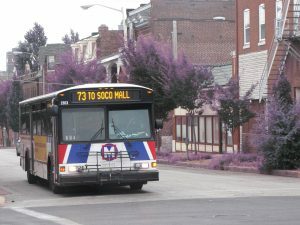 A liveable community is one that provides safe and convenient transportation to all citizens, and we all play a role in safe roads and tracks for the St. Louis region. Recently, Metro Transit, Trailnet, and the Missouri Department of Transportation (MODOT) gathered with others to kick off the “Safe Roads for All” initiative to raise awareness about ways to safely share the road among drivers, cyclists and pedestrians on St. Louis area streets and roads. As MoDOT emphasized, pedestrians and bicyclists have primary responsibility for the their own safety, and motorized vehicles have a responsibility to share the road in a safe and courteous manner with more vulnerable road users. If we all practice safety, we should arrive safely, however we travel. Let’s work together to make roads in the St. Louis region safe for all users. Obey all signs and signals, and respect all road users. Avoid speeding. A few extra seconds saved could impede safety. Make eye contact with other road users when proceeding through intersection, including cyclists, pedestrians and bus operators. Pedestrians should stay on the sidewalk whenever possible. If you must walk in the street, walk single file, facing traffic and stay close to the edge of the roads. Cross streets only at intersections or crosswalks. Cyclists and pedestrians should wear white or reflective clothing at night, and use lights as needed. Always stand where the driver can see you. Do not walk or run out in front of a bus. Always let the operator aware you are exiting, or make eye contact if you need to cross in front of the bus. Buses make frequent stops. Do not follow too closely behind a bus in your car. Do not cycle too closely or pass a bus if you do not think you can stay ahead of it. Never pass a bus on the right! It is never safe for a cyclist to pass a bus on the right side when the bus is in the right lane. Since it takes more time and distance for a bus to stop, be predictable whether you are walking, biking or driving near a bus. Always expect a train is coming, and proceed with caution at road/rail intersections. Never ever walk on the tracks or along the tracks. It is illegal, and extremely dangerous. You are trespassing and can be arrested if you walk on the tracks or along the tracks. Trains have the right-of-way 100% of the time; do not race or try to cross ahead of a train. All buses are required to slow down, open their doors, and check for oncoming trains at all track crossings for safety. MetroLink trains weigh about 190,000 pounds empty, or 95 tons. That’s about the weight of 73 Honda Civics coming down the tracks. Cross only at designated rail crossings, and obey all warning signs and signals.